At WA Charters, we support the startup and operation of innovative, free, charter public schools designed to serve systemically underserved students and families. We believe that every child and family deserves excellent public school options, and we’re excited to share more about the positive impact that Washington’s growing charter public school schools are making. We are hosting our first-ever “Game Changers Breakfast” on November 13. This is a fundraising breakfast that will directly benefit excellent, equity-driven schools at different points in their life-cycle. This includes schools in our “school incubator” fellowship program, schools gearing up for startup, and schools that have launched and are serving students. There is no fee to attend, but there will be an opportunity to make a financial contribution. The suggested donation is $150 per guest. Don’t miss this chance to learn more about our state’s charter public schools and to be inspired by stories from students, teachers, and parents. 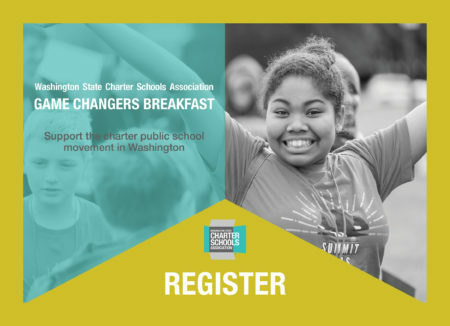 TIME | Coffee begins at 7:00 a.m. | Program: 7:30 – 8:30 a.m.
We’re on the hunt for innovative teachers and administrators who are committed to educational equity and excellence to teach and lead Washington’s charter public schools in Fall 2019. Recently, we co-hosted the state’s first ever district-charter-independent school hiring fair. Dr. Tammy Campbell, Superintendent of Federal Way Public Schools, was the keynote at the event, which drew in recruiters and educators from all around Puget Sound. Coming up, look for the WA Charters booth at the UW-Puget Sound K-12 Hiring Fair (March 21), the Washington Educator Career Fair in Tacoma (March 28) and the Oregon Professional Educator Fair (April 3-4). Be on the lookout for Spokane International Academy, PRIDE Prep Public Charter School, and Willow Public School, Walla Walla at the Washington Educator Career Fair in Spokane on March 14. Last Friday, more than 600 students, families, and Spokane community members hailed on Spokane International Academy (SIA) for a night of internationally-themed activities. SIA students from all grade levels took guests on a thoughtfully curated world tour through their school’s classrooms. 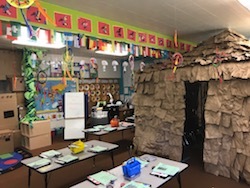 In the Primary Academy, Kindergarten highlighted work focused on North American indigenous cultures, first grade offered tours of South America, and second grade presented projects on endangered animals and art of Asia. 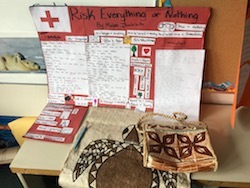 SIA’s Middle Academy (sixth and seventh grades) classrooms covered a variety of content covering topics spanning all corners of the globe. 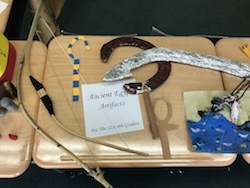 English Literature spotlighted poetry focused on conflicts around the world, while the History room was transformed by students’ displays of ancient civilizations and projects on the impact of previous conflicts on current states around the globe. 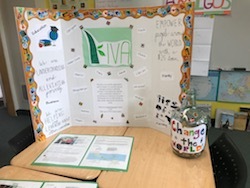 In Global Perspectives, visitors were educated about microfinancing and leared about SIA’s partnership with KIVA. Through this partnership, SIA students have lent out $2,800 over the last two years. In the Spanish classroom, guests got to learn and practice “day in the life” Spanish vocabulary. SIA drew a diverse and excited crowd for International Night, and the momentum will continue into the summer. In June, students will get outside for field day on June 12, and will celebrate their last day of a successful school year on June 15. Over the summer, 40 SIA Primary Academy student will participate in a free, six-week summer literacy, science and math program. Students will work on literacy skills to bridge the gap between the school years and deepen their understanding of new science concepts. To learn more about Spokane International Academy, visit: spokaneintlacademy.org. 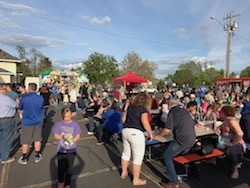 Last Wednesday, a robust crowd of more than 75 gathered for a fun and engaging evening at WA Charters’ Educators’ Night. We were so glad to see such an enthusiastic and supportive group of attendees and school representatives. 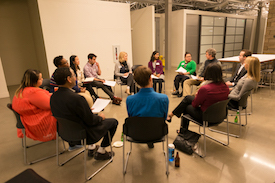 Teachers and other professionals curious about plugging into the charter public school sector had the opportunity to connect with current charter leaders and teachers and learn more about the great work happening inside of our state’s charter public schools. Our leaders and hiring teams thoroughly enjoyed learning about candidates’ diverse backgrounds and interests, while sharing about their school models, missions and values. The energy was high and positive, and we know that many great conversations were had between current schools and potential future teachers, staff, board members and advocates. Attend our annual conference on May 12th-13th to meet more teachers and leaders from our schools and engage in interactive breakout sessions. Explore employment opportunities with our charter schools via our job board, and learn more about each of our schools on our website. Join our email list and follow WA Charters on Facebook and Twitter to keep up with the latest news on our work and our schools. We look forward to many more opportunities for collaboration and we hope to see even more educators and professionals at future events and in the halls and classrooms of Washington’s charter schools. Find the right school for your child at our school tours event, January 12! Help your child reach their potential in one of Tacoma’s charter public schools. It’s never too early to start thinking about school enrollment for Fall, 2017. Washington is home to some incredible charter public schools, and this week families in Tacoma will have an opportunity to learn more about the leading schools in their area. For students and parents looking for exceptional options in personalized learning and academic enrichment, this is a perfect place to start. On Thursday, January 12, WA Charters will host an evening tour of SOAR Academy, Summit Olympus, and Destiny Middle School so that parents and kids interested in learning about great public school options can explore each school building, meet with school teachers and leaders, and hear from current charter families and students about their experience. The tour promises a close-up look at the amazing programs and opportunities provided by schools that are paving the way for student achievement. These schools are tuition-free and academically rigorous, prioritizing the personal educational needs of all students so that they can reach their full potential. It’s going to be a great evening, and we hope to see you there. To RSVP, please email Brooke Brod at bbrod@stand.org. For a full schedule of the tour and more information on the schools, visit: http://wacharters.org/enroll-tacoma/. 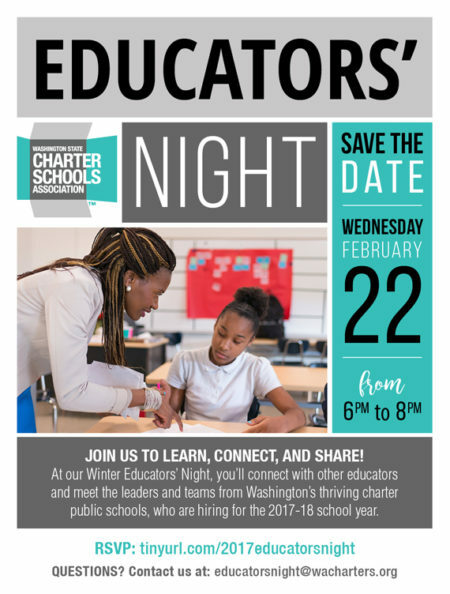 WA Charters will be hosting a night just for educators on February 22! 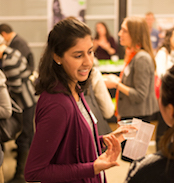 Are you a teacher or a professional looking to find your place in the public education space? 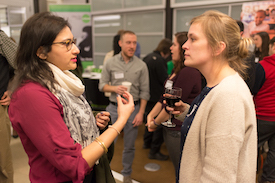 Join us at this event in South Seattle for the chance to network with other educators, take home strategies you can use in your classroom, and learn about Washington’s thriving charter public schools. Please save the date and RSVP today, and spread the word to educators in your network! Olympia— Yesterday, as the Washington State Supreme Court announced its refusal reconsider its unfair September ruling, more than 400 students, parents and educators from Washington’s public charter schools were heading home from a Day of Action in Olympia, where they urged legislators on both sides of the aisle to fix the glitch that allowed the Court to rule against the more than 1,100 kids currently enrolled in charter schools. The September 4th ruling by the state Supreme Court invalidated Washington’s voter-approved public charter school law and is threatening to close nine local public schools that serve more than 1,100 students. Yesterday’s Day of Action included a state government civics lesson, meetings between students, parents, and their state representatives, and a rally on the Capitol’s lawn. The day was sponsored by Act Now for Washington Students, a newly formed coalition dedicated to ensuring that student and parent voices are elevated in the fight to keep public charter schools open and serving local communities. The Court’s decision adds a sense of urgency to what kids and parents were asking for in Olympia yesterday, which is for the legislature to fix the law so that our schools can stay open and that other families in Washington will have access to these high-quality options in the future. Before an energetic crowd on Wednesday, Summit Sierra ninth graders, parents and educators talked about the first month of school, the community they have built and their disappointment over the Supreme Court’s recent ruling that the state charter law is unconstitutional. Jen Wickens, Summit Washington Chief Regional Officer, said Summit Public Schools, which opened its doors in both Seattle and Tacoma last month, is in the midst of their most historic moment yet. And the school community is ready to fight for their school. “The families fell in love with their school, the students fell in love with their teachers. They built a community and they now know what it feels like to be in a public charter school and they will fight for that and their voices will be louder,” Wickens said. Rep. Eric Pettigrew, who championed public charter schools at the state level, addressed the crowd Wednesday. He praised the beautifully remodeled school space in the International District, the diversity of the students and the teaching and learning that was happening in classrooms. Diane Tavenner, Founder and CEO of Summit Public Schools, urged the attendees to help advocate on behalf of Summit students and families to continue to have the choice of public charter schools. She said charter schools have always faced challenges, but they will overcome because students and families deserve the option. Tavenner also said that “being a charter means you have local control and local authority.” She said by giving families a choice in school options, charter schools are held accountable by the entire school community. Summit Sierra Executive Director Malia Burns led a panel of parents and students, which included a lively discussion about the success of the first month of school. Jerald Flowers, 14, said he’s looking forward to meeting with his mentor this week to talk about both short-term and long-term goal setting for himself, academically and behaviorally. “The one thing that really struck me about Summit Sierra is just the general positivity of the school,” Flowers said. Parent Natalie Hester Johnson said she has already seen the confidence in her daughter grow, including in math and science. She credits the teachers for working with her one-on-one and helping her set her own pace for learning. “Everyone here wants my daughter to be as successful as my husband and I want her to be,” Hester Johnson said. 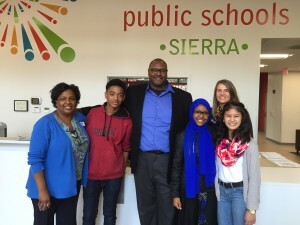 SEATTLE, Wash. — August 17, 2015 – Today, the first three of eight new public charter schools opened their doors, kicking off a school year in which the new public charter schools will welcome more than 1,100 students. SOAR Academy begins classes today in the Hilltop neighborhood of Tacoma. The school welcomes full kindergarten and first-grade classes this year, and will ultimately offer grades K-8. Summit Olympus, the new Tacoma high school opened by Summit Public Schools, welcomes a new ninth-grade class in 2015-16. The school will expand to serve grades 9-12 by the 2018-19 school year. Summit Sierra, the new high school opened by Summit Public Schools, welcomes a new ninth-grade class in 2015-16. The school will expand to serve grades 9-12 by the 2018-19 school year. The school is located in Seattle’s International District. Over the next few weeks, five more public charter schools across Washington will open: Excel Public Charter School in Kent on Aug. 18; Green Dot Destiny Middle School in Tacoma on Aug. 24; Spokane International Academy in Spokane on Aug. 26; Rainier Prep in South Seattle on Sept. 1; and PRIDE Prep in Spokane on Sept. 2. Public charter schools in Washington are open to all students, do not charge tuition, and, like all public schools in Washington, receive funding based on student enrollment. According to the National Alliance for Public Charter Schools, Washington has one of the strongest charter laws in the country, which voters approved in 2012. Parents have responded to these new charter schools with great interest. All eight schools spent significant time engaging with families and students over the last year and met enrollment targets. Schools will welcome more than 1,100 students through their doors on the first day of school. Each of the eight schools opening this year received over a year of in-depth training and support from the WA Charters Leadership Center, which provides leaders with academic, organizational, financial training, and funding to prepare them for a successful opening. Three additional schools will open in the 2016-17 school year. Green Dot Public Schools was authorized in 2014 for a South Seattle charter, and is joined by Summit Public Schools: West Seattle and Willow Public School in Walla Walla, both recently approved by the Washington State Charter School Commission, one of two authorizing bodies in the state (along with Spokane Public Schools). WA Charters is an advocacy and professional membership organization that advances Washington’s movement for high-quality charter schools, through state and local advocacy, development of local leadership and talent, and resources for member schools. Our Mission: As a catalyst to improve academic outcomes for every student in Washington, we partner with communities to advocate for and support high-quality public charter schools that meet the needs of historically underserved students. Our Vision: Empowered communities with high-quality public schools for all students. To learn more about public charter schools in Washington, please visit: www.wacharters.org. WALLA WALLA, Wash. – July 23, 2015 – The Washington State Charter Schools Association (WA Charters) is excited to share that this evening, the Washington State Charter School Commission will host a public forum for Willow Public School, a proposed project-based learning charter middle school in Walla Walla. The public forum will be a key opportunity for parents, local residents, and other members of the community to learn about and provide input on the proposed public charter school. Since October 2014, founder Daniel Calzaretta has worked closely with WA Charters as a participant in the WA Charters School Leadership Program. The WA Charters Leadership Center serves as a charter school incubator and is grounded in the belief that leaders and educators are the cornerstone of effective schools. Leaders work in partnership with communities to design high-quality school models in order to dramatically impact the lives of children, families, and communities in Washington. To date, 100 percent of submitted school applications supported by the Leadership Center have been authorized to open. These are schools designed to serve historically impacted communities and better serve kids with models based on proven practices. Calzaretta, a seasoned educator, has been teaching since 1990. In 1993, he co-founded and directed Pacific Crest Community School (PCCS), a project-based learning school in Oregon. PCCS has been recognized for its innovative and personalized approach, including receiving an Exemplary Alternative Educational Program award from the Oregon Small Schools Association. Calzaretta moved to Walla Walla in 2000 to work in the Alternative Education Program at Walla Walla Community College. He has taught in the Whitman College Department of Education, and most recently taught at Walla Walla’s Pioneer Middle School from 2007-2015, where he has used project-based instruction exclusively. 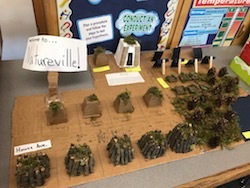 Project-based learning gives students the knowledge and skills they need by actively exploring real-world problems, working for an extended period of time in the classroom to investigate and respond to a complex question or challenge. The public forum for Willow Public School will be held Thursday, July 23, 2015, from 7:00 p.m. – 8:30 p.m. PT at the Walla Walla Housing Authority Gym, 501 Cayuse Street, Walla Walla, Wash., 99362. WA Charters is a statewide nonprofit organization that partners with communities to advocate for and support the startup of high-quality public charter schools, with a focus on serving academically and economically underserved communities. WA Charters focuses on four key areas of support: providing information about charter schools; supporting leaders to grow high-performing public charter schools; advocating for law and policy changes that are in the best interest of students; and providing the critical support and services to help charter schools operate successfully. Charter schools are a type of public school. Like all public schools, they do not charge tuition, they are open to all students, and they are publicly funded. However, charter schools are held more accountable for showing improved student achievement. In exchange for greater accountability, teachers and principals are given more flexibility to customize their teaching methods and curriculum to improve student learning. For more information, please contact Maggie Meyers at: maggie@wacharters.org.